Based on these cashes and others, Ramos has managed to accumulate $584,177 in live poker tournament winnings, which ranks him fourth all-time among Brazilians. But as alluded to before, mojave14 does the bulk of his playing online, and he’ll no doubt be loving the rakeback at his new home. Before we go on, it’s worth mentioning that you too can get a 36% Lock Poker rakeback deal by signing up through RakeTheRake; this also entitles you to a massive 200% up to $2,000 sign-up bonus. 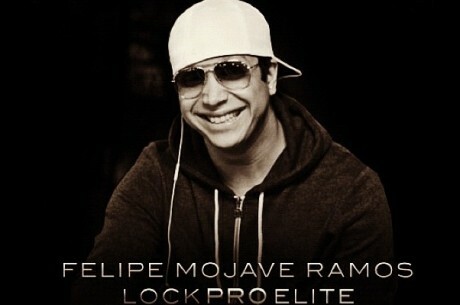 This poker site has plenty of confidence in mojave14 since he’s somewhat of a poker ambassador in Brazil. They also have plenty of other noteworthy pros that are sure to catch the eye of the South American market such as Annette Obrestad, Chris Moorman, Eric Lynch, Leo Margets, Matt Stout and Melanie Weisner. Out of these pros, Moorman and Obrestad are especially well known for their poker exploits. The UK’s Moorman has earned an incredible $7.5 million in online poker tournaments along with $2.66 million in live tourneys. Obrestad started playing online poker at age 15 and grinded her way to an impressive bankroll without ever depositing. Her career highlight involves winning the 2007 WSOPE Main Event along with £1,000,000.